I think you are probably referring to the " Order Form " that is on your website. Can you confirm that I have the correct form which contains the issue that you had mentioned above? I checked your email, but it is not listed in our bouncelist so we can rule that out. 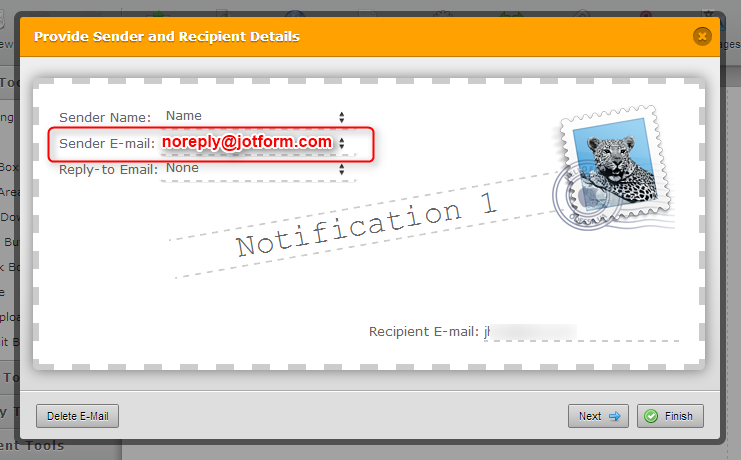 When checked your Email Notification though, I found that you did not list a sender address so I would advise changing that to the default recommended " noreply@jotorm.com " since that can often lead to this type of problem when it is left blank. You can additionally refer to this guide for further information on preventing these types of issues with not receiving any email.